Why is My Water Heater Not Providing Enough Hot Water? Your water heater is one of the hardest working home appliances you have. It provides you with hot water multiple times a day, every day, throughout the year. So, it can be very frustrating when the water heater suddenly stops providing hot water for whatever reasons. There are a number of possible factors that can prevent your water heater from heating the water inside it properly. Read on to find out more about these different factors, and what can be done about them. Posted in Water Heaters | Comments Off on Why is My Water Heater Not Providing Enough Hot Water? Assuming you take good care of your water heater, you can expect it to last a long time. No water heater lasts indefinitely, though. At some point, you will need to install a new system. The key is knowing when that’s required. There are a number of different signs that you should look for that indicate that your water heater is getting to the end of its life. If you start to notice one or more of these signs, it’s a good idea to consult with a professional about whether or not it’s time to replace the system. We’ve outlined a number of those signs below. If you’re careful about scheduling regular maintenance, and prompt repairs, you can get a fair few years out of your water heater. No system will last forever, though, and sooner or later you’ll have to replace the system. 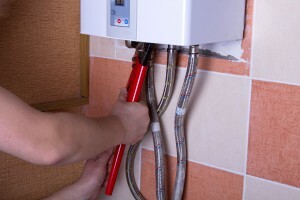 It’s best to familiarize yourself with the typical warning symptoms that your water heater is getting close to the end of its life, so that you can replace it before it breaks down entirely. Let’s have a look at some of those warning signs now. Water heaters are built to be as sturdy as possible, but they’re also one of the hardest working appliances in your home. Operating day and night for years puts a lot of wear and tear on the system, which makes it more and more likely for problems to occur. It’s important that you keep watch for any problems that might crop up with your water heater, and one of the best ways to do that is to be familiar with symptoms that the system is in trouble. Should I Replace My Water Heater This Winter? Suddenly finding yourself without hot water in the middle of winter is not something you probably want. If your water heater is not up to the task of providing you with hot water through one more winter, you should replace it now before it fails completely. If you’re not sure whether or not your water heater is in need of replacement, read on for some ways to tell. Posted in Water Heaters | Comments Off on Should I Replace My Water Heater This Winter? The type of water heater that you install in your home is going to have a pretty significant impact over the next decade or so. 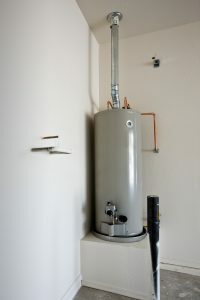 So, it’s a good idea to make sure that you select the best possible water heater for your needs. If you’re not sure which water heater would benefit you the most, don’t worry. Read on to find out a bit more about the pros and cons of each water heater.